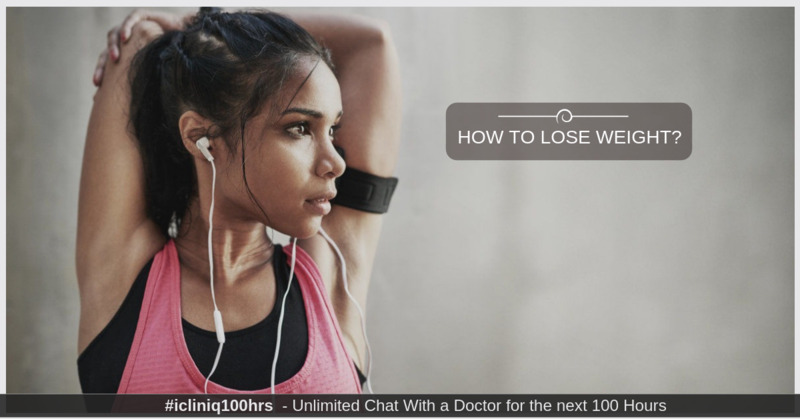 iCliniq › Ask a doctor online › Health Articles › Reduce Weight › How To Lose Weight Safely and Steadily? How To Lose Weight Safely and Steadily? Overweight and/or obesity is a growing problem in most of the developing and developed countries. Initially what used to be a problem after the 5th decade of life, is now seen from the second decade itself. The magnitude of this problem is always underestimated as most of the times it is the complications of overweight that brings the patient to medical attention. Overweight is diagnosed when the BMI (Body Mass Index) is more than 24. Hence the best tool to detect obesity is calculating BMI in all patients coming for consult irrespective of their problem. People are more inclined towards rapid results but there are adverse effects associated with it. Concept of physiological reduction of weight must be understood. Weight reduction just like weight gain should be gradual and sustained. The basic principle in weight reduction is "burn more calories than you consume." But what is forgotten here is "do not overdo it." Most of the time weight reduction can be done with lifestyle changes. But here the goal has to be realistic else the person may get demotivated. People should have a goal of reduction of 0.3 to 0.5 kg per month. Among lifestyle changes, dietary changes and exercise are the pillars of weight reduction. Though both are important I always stress on exercise as it helps in improving stamina, provides a sense of well-being and good cardiac status, better cholesterol and blood sugar control. Exercise has ,to be aerobic ,i.e., brisk walking, jogging, running, cycling, swimming, playing outdoor games like football, badmiton. etc. It should be started gradually, initially at low intensity and around 10 to15 minutes per day and then gradually increase the intensity and duration of exercise. Exercise has to be done daily. If not possible, at least 5 days a week exercise regime has to be followed. Never rest your body for more than 2 days. Do you have a question on Reduce Weight or Exercises?